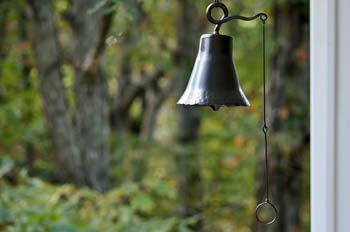 We offer a select supply of wind bells and garden bells to add music and beauty to your home. Hang them from porches, trees, or garden stakes. These bells will make music on windy days and can be used to grab attention. Every New Year's Eve, Buddhist temples in Japan ring bells 108 times, symbolizing the 108 worldly desires. 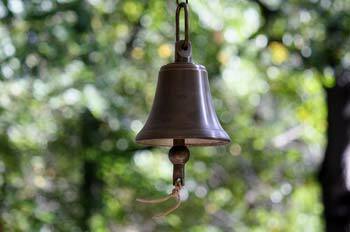 The ringing of bells is believed to help decluttering the soul, starting the new year with a clean mind and spirit. Each ring cleans one of the 108 worldly desires. Some examples of the 108 worldly desires are arrogance, anger, ingratitude, seducement, ridicule, unkindness, vanity, and violence. 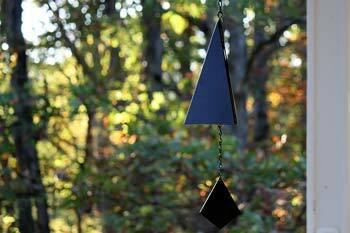 Hang chimes in an area that is not exposed to long term, direct sunlight, such as under a porch. Clean chimes periodically with a damp cloth and soapy water to remove dirt and mold. For chimes with wooden parts, apply a thin layer of lemon oil every few months to help protect, prevent aging and cracks. Also, remember to bring your chimes inside during extreme weather or high winds to prevent damage.